Colors Tv’s most popular and lovable daily soap show Ishq Mein Marjawan is up for some high voltage melodrama in upcoming track of the show. As per latest track of the Aarohi called media and confessed that Virat wants to marry her where Deep get shocked with all this. Later Deep confessed that Aarohi is his where everyone get shocked that Anjali is Aarohi. But Deep did all this with shocking motive where he is trapping Aarohi in her own game but of no use. 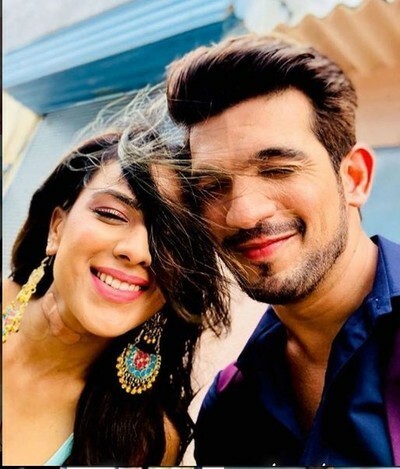 Later Aarohi wants Deep and Tara to leave the house while more shocking is that Tara blooms soft corner for Virat and wants Virat to stay with Anjali in Dhanrajgir house. What will be consequences of this? It would be interesting to see what will happen next in Ishq Mein Marjawan.